« Are You Wine Trainable, Or Wine Intelligent? I reached this conclusion after reading Thomas Stanley’s Stop Acting Rich, one of the sequels to his best-selling finance book The Millionaire Next Door, a book which established Stanley as one of the most recognized authorities on how people with financial means actually become people of financial means, and he spends a good deal of paginated real estate in Stop Acting Rich bashing expensive fine wine as a chimera. For reasons that should be obvious to even a causal 1WD reader, I disagree with Stanley that there is little discernable difference between bargain wines costing $10 and some of the world’s finest wines (he offers little – if any – justification for this stance in Stop Acting Rich, aside from the fact that less expensive wines are, well, less expensive than premium wines, citing sources such as Robin Goldstein’s much ballyhooed taste tests in which average wine consumers preferred cheaper wines to much more expensive counterparts in blind tastings. However, I don’t disagree with Stanley’s data, which he has garnered through extensive surveys of U.S. millionaires (those who have a net worth of over $1M USD). And that data quite clearly shows that millionaires generally are not buying $150 Margaret River Chardonnays, no matter how good they might be. In fact, millionaires in the U.S. rarely purchase wines priced over $50 / bottle. Sure, 7% of the U.S. population of millionaires is probably still a fairly sizable group, but it’s a telling statement about wine consumption and buying habits that such a small percentage of those who can most afford ultra premium wines are actually buying those wines. So who are buying those ultra-premium wines? Restaurants, perhaps? Sure, but they’re almost never paying full SRP for those wines, and many will get gobbled up as trophy purchases for business dinners and the like, but that’s not spending with our own disposable income. What about collectors? Yeah, they’ll buy some pricey juice, but along with investors and those trying to “flip” on the wines by turning them around and selling them for profit, those are probably a small buying segment. What about the insanely rich, those people who are deca-millionaires and can afford expensive wines and profligate spending habits because such purchases, while costly, are still well within their means? Sorry – they’re already included in Stanley’s 7%. Common sense dictates a more rational explanation. My guess: wine geeks are buying them. You and me; the people who are infatuated with wine as an expression of land, people, and life. We’re the ones loyally parting with our hard-earned cash for these ultra-premium wines. It’s not as far-fetched as it might seem at first. How much to golf geeks spend on clubs? Or ice hockey geeks on equipment? Or music geeks on concerts? Don’t forget how much coin photog geeks are willing to part with in order to outfit their SLRs with decent lenses… You get the idea. If those wine producers knew what was good for them, they’d start catering to the geeks. Maybe if our rich friends are lucky, we’ll share a bit of our crazy-pricey and exclusive juice with them when they drive their Bentleys over to visit us. The 7% is sort of an irrelevant statistic. The right statistic is what % of those wines are sold to millionaires. I'd imagine less than 7% of millionaires have >$100k cars but a very high % of those cars are sold to millionaires. I am not sure I agree with you here that wine geeks are the ones buying the $100+ wines. I think more info is needed before such a conclusion can be made. First, how many $100+ wines exist? What percentage of all wines do they constitute? As there are about 9 million Millionaires in the US, 7% means about 630,000 Millionaires are buying wine over $100, and some of them are buying multiple wines. 7% may not seem like much, but it can be quite significant. It is still a huge market. How many wine geeks exist? And how many are willing to pay over $100 for a bottle of wine? I bet the number is less than 630,000. Joe, when is the last time, outside of a restaurant, that you bought a wine over $100? Richard, tdot – I don't disagree necessarily, I think the findings in Stanley's work (which, with thousands of millionaires polled, is certainly statistically relevant) are suggestive and would make for fascinating further study for something wine-related. If ultra-premium brands were smart, they'd try to get similar data and dig deeper in order to best target their marketing efforts, I think. I forgot to add in my previous comment that the 630K only include US millionaires. What about the rest of the world? I would think European millionaires, due to history and tradition, are more likely to consider $100+ wine to be part of their lifestyle than American ones. We have already seen Chinese millionaires become huge consumers of high end wines. It is certainly an area worthy of greater investigation. And I ask again. Joe, when is the last time, outside of a restaurant, that you bought a wine over $100? Richard – whoops! Sorry, forgot to answer that! It was a couple of months ago in Lisbon, Portugal, after judging at a comp. there. Bought a single-vintage Tawny from `72 (birth year). Great column, I couldn't agree more. With small exception, the well off people my wife and I socialize with depend on me to either bring or at least suggest wine for the gatherings we attend. When they want wine, they go to the store, buy it and drink it that night, like 90% of America. I do have 2 friends with wine budgets I truly envy, but their cellars are filled with a number of "trophy" wines that their palates will never appreciate. Their daily drinkers are in the $30-$50 range but to what end, mine are $9-$20 and every bit as good and I took huge pleasure in finding those wines. They simply go to their local shop and ask the owner to suggest something and buy it by the case. Oh, by the way thanks so much for making me want to buy a $150 bottle of Chardonnay, hopefully I won't be able to find it. Regarding the well-off and their wine-drinking habits, if you haven't checked out the Stanley book it's worth a read. It's fascinating to see how those people really buy and what they buy (and usually it isn't ultra-expensive stuff!). I wonder if that 7% has a more significant wine buying habits, in terms of quantity, than the 16.5% that are just wine oriented or other groups. Does Stanley's research delve into that at all? Definitely adding his book to the reading list. Thanks, MTGA. Stanley’s book touches on that (but only *just*); on page 155, he shows a table in which there are stats on the size of millionaire’s wine cellars. The percent that have fewer than 210 bottles at any given time? 95%! 95% with less than 210 bottles is surprising, at least for me. Though I suppose the range of 1 bottle to 17.5 cases isn't something to scoff at. I can't imagine a wine geek of reasonable means with even a shred of common sense spending $150 on an Australian Chardonnay. A wine geek is probably spending $20 on a bottle of comparable quality. In my experience, the "premium" wines start at $20 – $30 , and after that you are just paying for variety. I am willing to go up to $50 for a bottle of Bordeaux, Champagne, or Barbaresco. But as my old boss at a wine shop used to say, if you're spending over $100 for a bottle of wine, you're just drinking money. Gabe – I had a long conversation with an MS a few years ago who said that no bottle of wine should cost more than $35. Even yquem, with three cluster by cluster passes and hand selected berries, etc. Well, I won't quite go that far. Something like Y'quem is labor intensive, and has centuries of history behind it, so its is worth a few extra duckets. Same goes for First Growth Bordeaux or Grand Cru Burgundy. But I do believe that even with those world famous wines, you are mostly paying for the label. If a millionaire wants to spend a few hundred bucks on a bottle of wine, so be it. But I don't see any reason for an Australian Chardonnay – or a Willamette Valley Pinot Noir, for that matter – to cost over $100. Part of the fun of being a wine geek is finding good deals. If someone thinks that regular wine drinkers are spending $150 for Australian Chardonnay, then they've been getting free wine for too long. When was the last time you spent that much on a bottle? I can tell you the last time I spent over $100 of my own money on a bottle of wine : never.
. . . For those in the business, maintaining that [elite drink] image is important not only for commercial reasons but also for reasons of personal prestige. Every stage of the trade is involved in establishing the high prices, but ultimately those prices can be sustained only through the retailers and their sales efforts. The problem for the retailers is that wine — unlike luxurious hotel rooms and other hyperinflated products generally covered as business expenses — is usually paid for directly out of the consumer's pocket. This makes for a scary business, especially toward the high end, where The Wine Advocate roams. The truth is that EVEN THE BEST WINES COST ONLY ABOUT $10 A BOTTLE TO PRODUCE, and they are not inherently rare. If the initial cost is tripled to allow for profits along the path of distribution, one can reasonably conclude that retail prices above $30 are based on speculation, image, and hype. . . . Seriously, since I can't see that anybody commented on it….great move! 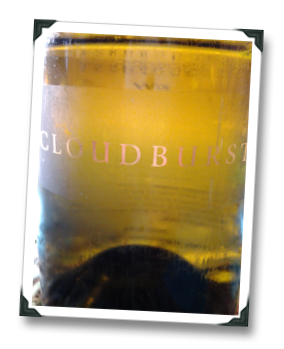 Cloudburst wine, http://www.cloudburstwine.com, is available at many fine restaurants in NY, LA and SF and will be available in the US through our website in the next 4 weeks or so, pending completion of licensing. We were reviewed by Wine Spectator last month garnering scores of 91 for our '10 and '11 Chardonnay. Thanks, Cloudburst! There you have it, people – you might be able to try it after all, on the restaurant trail on the coasts. I wonder who dines at restaurants like Per Se? I would guess millionaires, foodies, and also millionaire-foodies. There is no one "market." There really are people who will happily pay double to stock up their yacht with a winery’s reserve Cabernet just because they want the "best." This probably makes up some of the market for a wine like Cloudburst Chardonnay. I think there are also plenty of affluent people who use their wealth to explore wines like this out of an appreciation for their history, scarcity and distinct character. Me? I rarely buy ultra-premium wines, but I have to admit I do like the idea of being the target market. @SDependahl – Well, you *are* a target market in this case, whether ultra-premium wineries realize it or not! "I wonder who dines at restaurants like Per Se? I would guess millionaires, foodies, and also millionaire-foodies."
. . . add one more category of Per Se diner: corporate executives on an out-of-town business trip, possibly entertaining clients — underwritten by the federal tax deduction for such "travel and entertainment" business expenses. Are most drivers of luxury cars (e.g., top-of-the-line Mercedes and BMW and Jaguar sedans) "owners"? No. They are leasers — or, more correctly stated, their employers lease the cars for them as a perk. Only a comparatively low percentage of luxury cars (exception: sports cars) are actually owned by the drivers you encounter on the street. 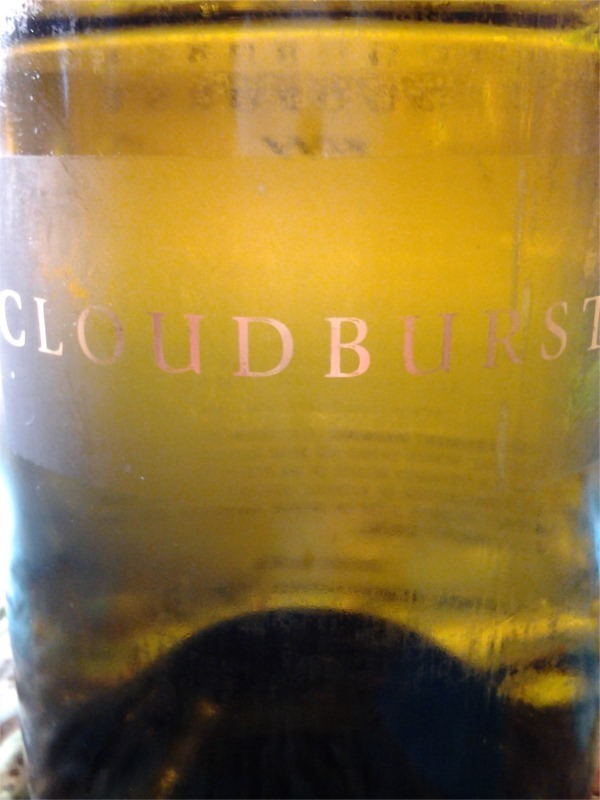 Through a private tasting I was able to enjoy the Cloudburst Chardonnay and yes on a slim budget, I would buy it. Very nice with stone fruit notes. The vineyard is biodynamic farming with excellent soil and climate for Chardonnay in this microclimate of Western Australia. The expression in this Chardonnay upon first sniff and then taste excited my palette as a great opportunity. I had no idea of the bottle price and as it was a casual meeting of the wine making. I also enjoyed the Cloudburst Cabernet. While the statistics may be comforting, as science this is nonsense. The Stanley surveys enter into the same nonsense. The survey study should *combine* inductive observations with proper methods. None of these were shown. Love your logic on this. I would also like to point out that the Cloudburst wines are perhaps rarer to find here in Australia than they are found in the US. Which is a shame as their focus has been export not domestic. I guess at that $150 price point for a Chardonnay, there is even less 'wine geeks or millionaires' here in Australia to buy them. Particularly since there is so much joy to be had under $100. And for the record, like you 1WD, I certainly am open to buying wine over $100 if they are simply, sublime – it just means that I buy less. We produced 1400 bottles of 2011 Chardonnay. We have applied for our producer's license and hope to sell wine in Australia very soon. 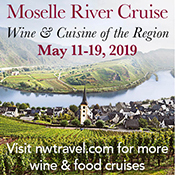 Winemaker – thanks, best of luck! Personally, the most I've ever spent on a single bottle of wine was just short of $100. Mind you, the key word there is "Single". Buying a case of a really expensive wine is simply out of the question for me, no matter how much I'd like to. For me, it was also much less about buying for the label as it was buying a really good example of a wine (I certainly hoped) from a particular area vinified in a particular method from particular varieties of grape in a particular year. Most of my passion was directed on trying things I've never had before, however, rather than buying super-expensive wine. A good number of things I had in my cellar were odd grape varieties or regions. @MyrddinGwin – that was pretty much exactly how I approached wine buying in the days before my basement became overrun with samples. SALES OF HIGH-PRICED, SO-CALLED CALIFORNIA "CULT" WINES HAVE FALLEN DUE TO THE RECESSION. There are signs the American economy is improving, at least as far as wine shops are concerned. But if you think that means a return to the glory days of $150 cult Cabernets . . . well, not so fast. Instead, most wine store owners . . . are describing a new normal, one in which the high-margin sales of wines in the $50 to $150 range are difficult — indeed, some would say they're almost a thing of the past. AND SEE THIS ARTICLE . . .
Is the Cult Cab dead? The current economy has created ominous rumblings in the market for Napa Valley wine. Demand for high-end super-premium Cabs, even so-called cult wines, has weakened considerably with the recession. Sales are stagnant, inventories are high, and direct-mail customers — a vital piece of the high-end model — are abandoning once-coveted positions on mailing lists, while those who have waited years for the opportunity to buy in are overwhelmed with offers. Even wine critic and Cult Cab kingmaker Robert M. Parker has issued warnings: "Wines priced over $300 have encountered considerable resistance, with their mailing list customers dropping off, or taking much smaller allocations," he wrote in the December issue of his widely read newsletter, the Wine Advocate. "Sadly, far too many proprietors of high-end Napa wines are in denial, and have failed to recognize the dramatically changing parameters in the wine world of the consumer." At Twenty-Twenty Wine Co. in West Los Angeles, owner Bob Golbahar sees the same trend among former big spenders. THE MARKET, HE SAYS, IS “OVER-CULTED. OUR AVERAGE BOTTLE SALE USED TO BE $100; NOW IT’S $50.. Unless you're giving it away, they're not interested." As a case in point, Golbahar cites the posh Napa standard Opus One, which usually sells briskly during the holidays, when it's frequently employed as a business gift. In past seasons, he's sold as many as 150 bottles of the wine, which retails for $140 to $170 a bottle. This year he sold six. "It's a whole different world out there," he says. Not all of Napa's Cult Cabs are dead, of course. Wines still in the good graces of critics like Robert Parker and James Laube of the Wine Spectator are weathering the storm well, including Shrader, Screaming Eagle and Harlan, as well as the more recently anointed, such as Scarecrow, Maybach and Kapcsandy. But many more may be out of luck. "FOR A WINERY WITH NO TRACK RECORD, THIS IS A NIGHTMARE,” Barrett says. "If they came into the market thinking they could start in at a $200 price point, they have no chance."
. . . As [restaurant] kitchens teeter on closure, as layoffs loom and the economic downturn threatens long-standing establishments and their outstanding wine lists, the market is more frenetic and freewheeling than it has ever been. Even as sommeliers are feeling obliged to reduce their inventories, they're being offered unheard-of deals on rare wines, now suddenly plentiful. Case prices are plunging: Wines that used to be out of reach can now be had for about a third less than a year ago. Most sommeliers report a modest downward shift in what's known as "the sweet spot" — the price range where most consumers are comfortable spending. Many but not all report that THE SWEET SPOT HAS FALLEN INTO THE $50-TO-$60 RANGE, where it had once been more like $80. But with the deals being offered by distributors, that hasn't been a difficult adjustment for sommeliers to make. Hey Bob – Patrick’s a friend, I love his writing (and his take on wine in general). I think there will always be a place for ultra-premium, cult wines, just as wine will always have some measure of aspirational collection impulse to it. There’s just no separating it from the product when some of that product has such long history of quality and longevity. But as far as who is buying that stuff, it’s mostly people who are… aspirational (v.s rich :)! To your anonymous Master Somm friend: "Well, buddy, good luck on that one!" Supply and demand — not production input costs — drive marketplace pricing. ON THE (CIRCA 1988) INPUT COSTS OF PRODUCING A NAPA VALLEY CABERNET . . . I think SVB recently said that the average winery makes something like $0.60 profit on a bottle of wine. The numbers are much lower than most consumers think, generally. WHEN WINERY OWNER "EGO" INSTEAD OF SUPPLY AND DEMAND DRIVE MARKETPLACE PRICING . . .
Bob – :-) He's well aware of that. He was simply lamenting the situation.